Readers of August’s “Financial Edge” are aware that DOT-117R retrofit tank railcars, approved for use in flammable service, are coming under scrutiny as being unfit for their intended service. 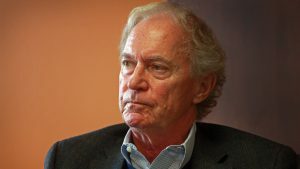 While the owners and operators of the flammables fleet worry about the railcars that will be hauling their commodities, the market for tank railcars and the parties involved in it continue to evolve. 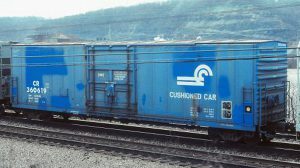 First, The Greenbrier Companies (GBR) and Watco Companies LLC recently ended, after four years, a partnership in GBW Railcar Services (GBW) that began as a way of addressing a significant opportunity for the tank car retrofitting. The partnership made complete sense at the outset: GBR is the second-largest railcar builder in North America, a builder of tank railcars, and a tank railcar repair shop owner. This would make Greenbrier a perfect counterparty for a retrofit business. A partnership with Watco, a logistics services provider and operator of terminals, short line railroads and railcar repair shops, would generate opportunities for business and create some vertical integration that should have allowed for consistent segment growth. After four years, the parties divided the assets of GBW and went their separate ways. Having lasted through one cyclical downturn, who can blame the principal owners for not wanting to be around for the real possibility of a second downturn in the retrofit market if the recent actions of the Class I’s take effect? For context, in 2017, 75% of the tank cars in crude, ethanol and other flammables service (approximately 77,000 railcars) required retrofit to remain in service under the 2015 FAST Act requirements. Not all those cars would qualify for retrofit. Additionally, recent activity regarding which tank railcars can and cannot be operated may decrease the momentum for these retrofit opportunities. 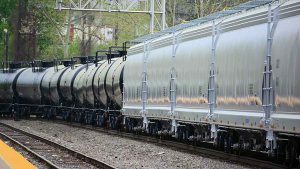 Second, on the flip side, GATX Corp., in two transactions, placed an order for more than 10,000 tank railcars from American Railcar Industries (ARI) and Trinity Industries. These cars are scheduled for delivery between 2019 and 2024. The deal allows for an additional 4,400 cars to be added to the order. GATX is the second-largest tank railcar lessor in North America (and the largest lessor that does not manufacture its own cars) and continually needs to renew its fleet. These orders, placed in 2Q18, skewed the ARCI (RSI American Railway Car Institute) order number for the quarter to an unsustainable 23,000! 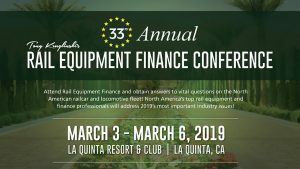 What does a large operating lessor continuing an organized pattern of fleet renewal and rehabilitation say about the railcar market? 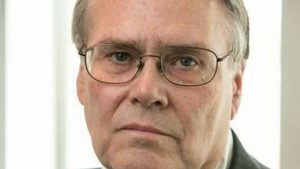 Lessees and lessors have been watching the tank railcar market tighten over the past four to five months. The tightening began a few months before issues related to the movement of flammables in DOT-117Rs surfaced. Since they are not a railcar manufacturer, watching GATX play the market right now is watching an insider provide a public assessment of GATX’s perspective on short- and intermediate-term tank railcar demand. After a serious period of overbuilding, followed by a period of “austerity,” GATX seems to be betting on a rebound in demand for the new tank railcar market. That would be a good thing for all tank railcar investors as increases in demand for new cars usually also mean demand increases for used tanks. From the GBW dissolution, the market for used tank railcars in flammable service might be headed in a different direction. 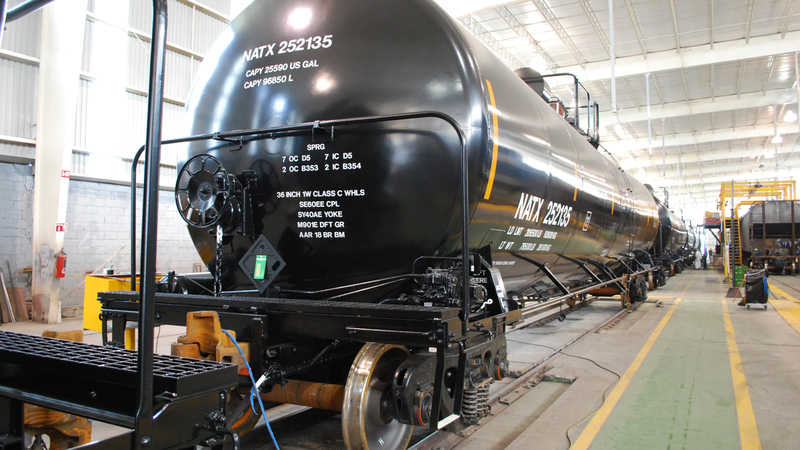 The tank railcar market is evolving, even when it may not seem to be doing so. Before rushing off to place orders of your own, I strongly urge you to exercise caution. The smart money seems to have already placed the bets and left the table.